Sony has succeeded in overturning LG's injunction against the PlayStation 3 in Europe, meaning that desperately needed relief supplies will finally start flowing to the console-starved continent. 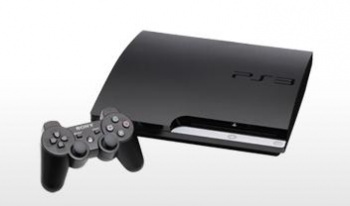 In February, Dutch courts awarded LG a ten-day injunction against Sony which resulted in the seizure of tens of thousands of PlayStation 3 consoles by customs officials. The dispute actually began with a Sony complaint that several LG smartphones infringe upon Sony patents; LG responded with similar complaints against Sony Blu-ray players, including the PS3, and managed to convince the court to halt imports of the console to Europe. But the Hague civil court has now ruled in favor of Sony's emergency challenge to the injunction. LG was directed to immediately return all seized PlayStation 3 consoles, 300,000 in total, to Sony, and will face fines of €200,000 ($276,000) per day until it complies. LG was also ordered to pay Sony's legal costs, to the tune of €130,000 ($180,000). It's a pretty big win for Sony, although the decision has no bearing on the underlying patent dispute between Sony and LG. Those cases will continue to work their way through the courts.